The final 6 players in the Monolith agreed to a modified payout and brought the event to a close, with Patrick Ng (above) receiving the largest payout of $41,254. There was also a $1650 Ante Up World Championship seat available. 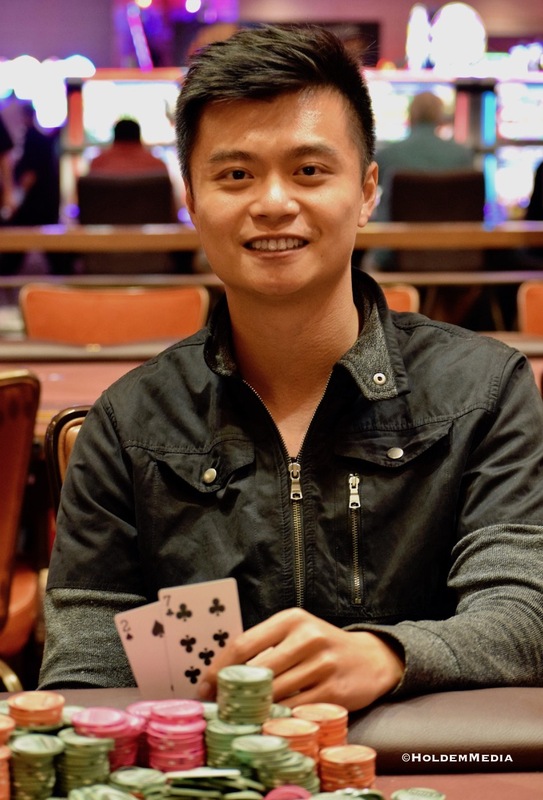 Dalton Still and Hein Tran agreed to a High-Card-Flip for it, with both players drawing a 9, then both drawing a Ten, then Still winning A>4 for the seat. Still waived $1,000 of his modified payout, with each player receiving $200 additional as the agreed-to deal by the remaining 6 players for the seat. Here are the final results for all 106 players who cashed in the July 2017 Monolith.